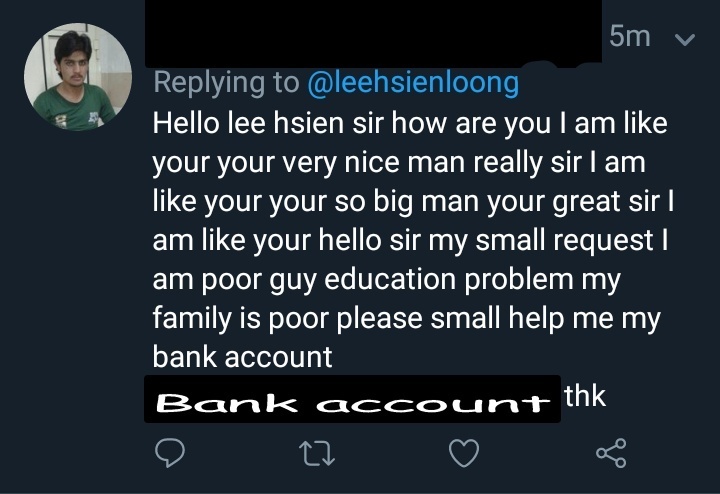 A screenshot of a comment a foreigner left on Prime Minister Lee Hsien Loong’s Twitter account has been trending today. 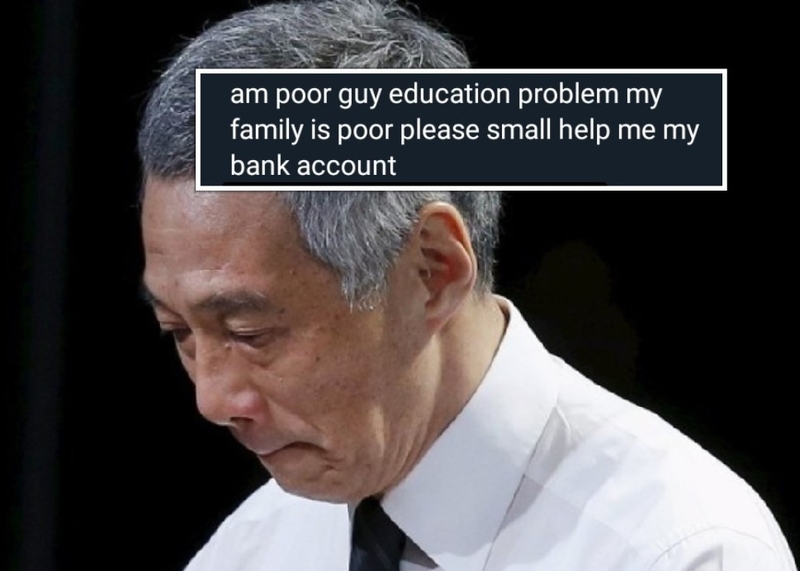 In the comment, the foreigner – who appears to be from India – showers praises upon the head of government before asking him to transfer money to his bank account. 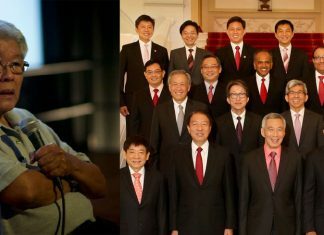 The Twitter user first praises PM Lee for being a “nice man”, for being such a “big man” and “great”. He then proceeds to submit a “small request” to the PM and asks him to transfer money to his bank account since he and his family are poor and because he is not educated. The screenshot first began trending on Reddit before it found its way to social media platforms like Facebook. On Reddit, the screenshot garnered over 400 upvotes in hours. One Redditor responding to the screenshot noted that this is not the first time the same Twitter user has appealed for financial support from world leaders.